Winslow Tabernacle is an evangelical Christian Church. We put a strong emphasis on holiness, and we are Pentecostal by belief and practice. Here is a brief statement of faith. 1. 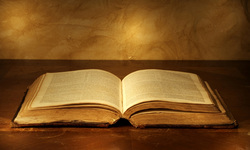 We believe that the Bible is the inspired, inerrant and infallible Word of God in its original language. With the illumination and teaching of the Holy Spirit, it is the final authority in all matters of faith and conduct. 2. We believe that God exists in three persons, the Father, the Son and the Holy Spirit. They are co-equal and co-eternal in the One God. 3. We believe Jesus Christ is God incarnate, that He is fully God and fully man. He was born of a virgin, lived a sinless life, and died a substitutionary death on the cross. We believe that His shed blood was our atoning sacrifice for sin, that on the third day He rose again from the dead, that He ascended into heaven to the right hand of the Father where He intercedes for us. We believe He will return again. 4. We believe the Holy Spirit is God with the Father and Son, that the Holy Spirit’s work is to glorify Jesus and to bring the Word of Christ to remembrance. The Holy Spirit leads us into all truth, shows the things to come and convicts mankind of sin, of judgement and righteousness. He equips believers for service and produces fruit in their lives. 5. We believe in the baptism in the Holy Spirit, an event distinct from regeneration and available by faith to all believers. We believe in the nine supernatural gifts of the Holy Spirit as recorded in I Corinthians 12:8-10 and their continued practice until the Lord Jesus returns. 6. We believe in the fallen nature of mankind that is sinful from birth, a nature that is hostile toward God proceeding from the original sin of Adam. 7. We believe that it is God’s desire that all should be saved, that repentance from sin and faith in the Lord Jesus Christ are essential to salvation, that the repentant sinner by God’s grace is justified by faith alone. We believe that the fruit of a holy life evidence this faith. 8. We believe in the resurrection of all. Those who accept God’s salvation in Christ to eternal blessedness with Him and the separation to eternal punishment for those who have rejected God’s salvation in Christ. 9. We believe in the unity and priesthood of all true believers.